Okay, so all the focus this week has been on Barbra Streisand and her Partners album which debuted at number one on the Billboard chart. But today is the great Olivia Newton-John’s 66th birthday and she’s pretty darn good at the duet thing too. The first video is one I was actually present for and had no idea it was going to happen. 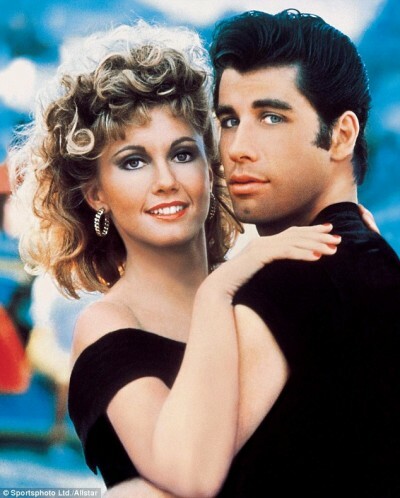 Within a few minutes, Olivia was joined by John Travolta on stage and they sang You’re the One That I Want. I didn’t have a cell phone or even a camera so it was just in my memory until this video surfaced on YouTube. Anyway, have also included some gorgeous duets with the late Andy Gibb, Olivia’s big hit Suddenly with Cliff Richard and, of course, Summer Nights with Travolta and company.